Sixteen years ago, Australian Daz Fellows tried street luge and was instantly hooked. 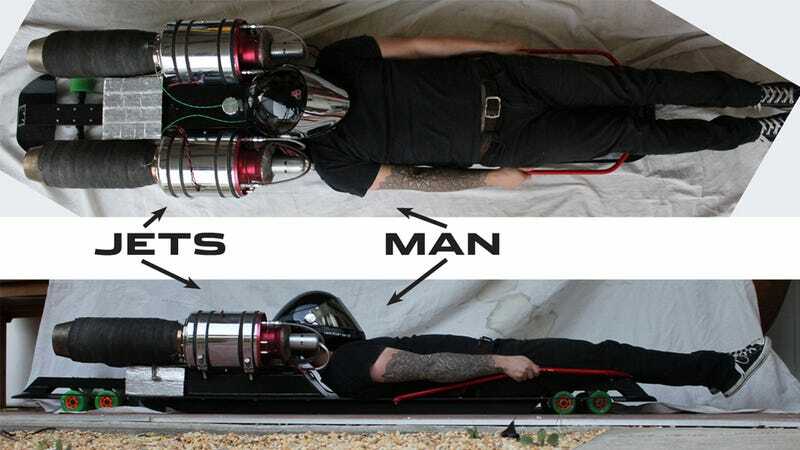 Now he's set his sights on a new world speed record of 124.27 mph (200 km/h) or better, riding a sliver of carbon-fiber board with two jet engines mounted inches from his head. Did we mention his creation has no brakes and no steering wheel? The intersection of bravado, mechanical aptitude, and outright ballsiness is fascinating. What makes a guy like this tick? What scares him? Read his answers to our 13 burning questions about his insane quest to be the fastest man on a jet luge at Road & Track.